It took a little longer than I expected, but it finally happened. FRBNY reports this morning that as of yesterday afternoon the effective federal funds rate was 2.41%. You’ll note that IOER, the ceiling, is still set 10 bps under the target upper boundary of 2.50%. 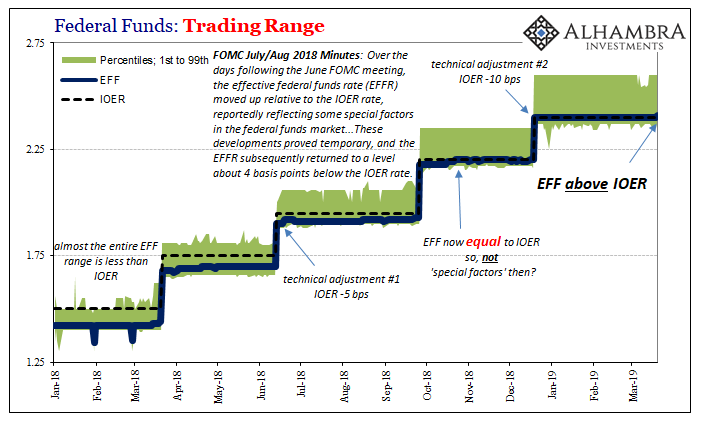 Some quick math, that means EFF was yesterday 1 bps above IOER. This the same day that the FOMC throws in the towel on that whole boom thing leading to huge distortions in curves. The 7-year UST at one point in today’s trading session was less than EFF was yesterday, below IOER even. The 5s were a ridiculous 10 bps below. The Standing Repo Facility can’t get here fast enough, apparently. That’s how screwed up everything has become: EFF is above and UST bond yields below. No wonder people are anxious about markets and economy, the whole thing is upside down (just not at the NYSE where, for now, the pervasive belief in the punchbowl rules). Why does any of this matter? After all, as I like to point out, federal funds is a nothing, irrelevant market. There’s practically nobody there. To begin with, it matters to those guys. The Federal Reserve chose specifically to keep federal funds as its primary communication tool. Therefore, it means a great deal in the mainstream end of things. It’s the one thing the FOMC is supposed to be able to control above everything else. That’s what they said when sticking with it. And thus, if you don’t get the things you know right, the little things, what chance for getting the bigger things right, everything that actually does matter? Zero chance, as the FOMC this week reminds us. If officials can’t control federal funds with their various schemes that sound impressive, like IOER (the joke), there would be no way to tell if effective monetary conditions are loose or tight; is policy helpful, or irrelevant? 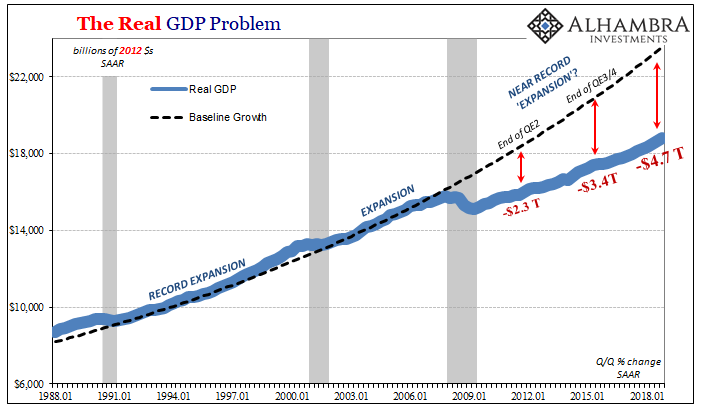 Don’t ask Jay Powell, he doesn’t really know. None of them do. It’s a hell of a way to try and manage our economic affairs. 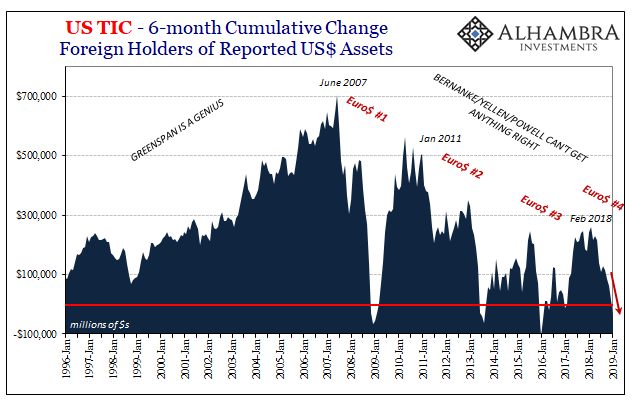 If you don’t know what is really going on in the supposedly straightforward money markets, as a central bank, then how would you know if, say, the economy was really close to booming? The FOMC circus on Wednesday is our answer. They really don’t know what they are doing, big and small. This explains a lot about the last eleven years.